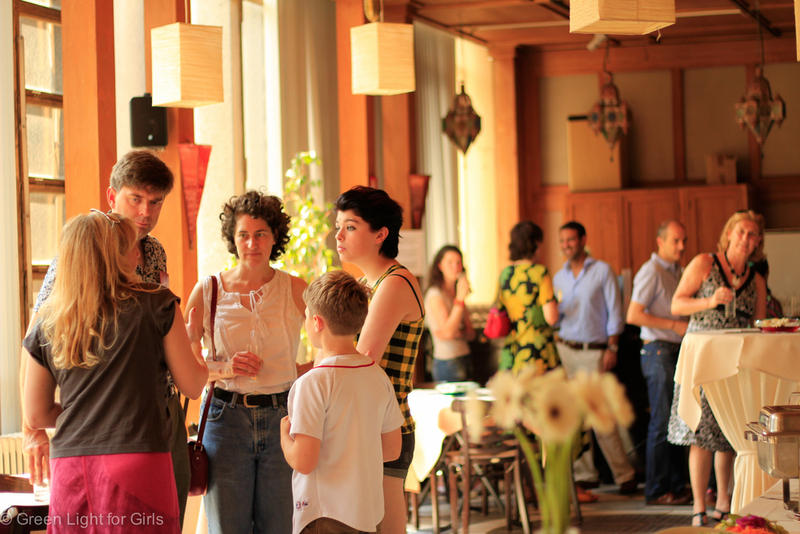 On July 7th greenlight for girls hosted a fundraiser at the Royal Museum for Central Africa. We used this opportunity to fundraise for a multitude of projects including establishing a new scholarship fund for girls in DRC and to solidify the g4g headquarters in Brussels. We had a beautiful day at an amazing venue. The Royal Museum for Central Africa was built in 1898 as a means for King Leopold II to show off his newly recognized Congo Free State. The Museum is a marvelous historical building and resembles a palace, so it was so cool to have greenlight for girls take over their courtyard for the day. We had a lot of people already there and mingling by the time the event started and the people just kept coming. Everyone was talking and enjoying the beauty of the museum and its central courtyard. There were also a few activities for the guests which included a raffle where guests could learn about various projects that g4g is fundraising for and an M&M jar which people could try to win by guessing the exact amounts of M&Ms in the jar (a girl actually won on her first try, I guess 503 is her lucky number). The food came an hour or so after the event started just when peoples’ stomach’s started speaking up. The food was amazing. A veggie stew, rice, and chicken were cooked in an African style and the meal filled everyone up for the rest of the day. However, there always room for desert. Our volunteer friend Emily with Sinkey and Nevena put their baking skills to use and provided the event with a wonderful batch of cupcakes. After lunch we held our raffle and the room was filled with anxious people with their fingers crossed hoping they’d hear their number called. The five prizes were a box of prosecco, a night’s stay in a bed and breakfast in Brussels, having your face on a rickshaw that will be going from the north of India all the way to the southern coast, a personal yoga session, and a free spa day, by far the most popular prize of the day. Following the raffle we held the most exciting and fun event of the day, the African drumming workshop. A drum instructor came out to the courtyard and brought a huge cart of drums with him. At least 20 people sat in front of him drums ready as he demonstrated techniques and within a couple of minutes the courtyard was filled with a loud rhythmic banging as everyone followed the instructor’s directions. People who were visiting the museum came out and watched as the instructor spent about one hour teaching everyone about traditional African music. After that the event came to a close and the g4g team packed everything up while the guests heading into the museum to explore. 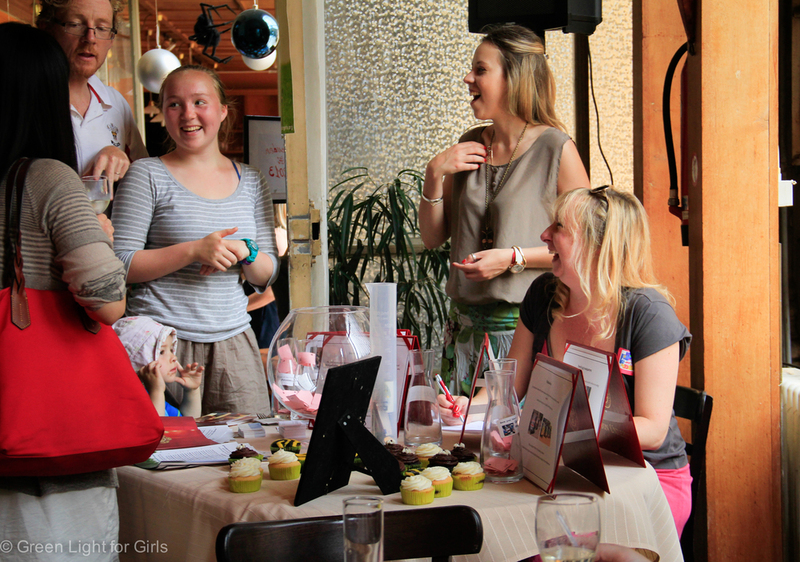 The event went very well and helped greenlight for girls raise money for a lot of great projects we’re working on. 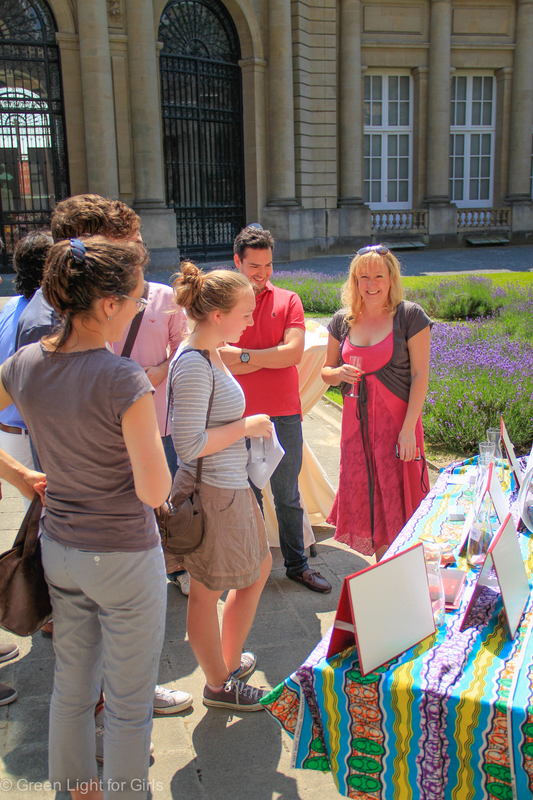 We were also had people signup for our next g4g day in Brussels! We’d also like to give some thank you’s. Firstly we’d like to thank the African Museum for being excellent hosts for us and for having such a great workshop for us. Secondly a big thank you to all of volunteers who helped work and organize the event. Finally we’d like to thank everyone who came out and supported g4g by attending the event. Newer PostHow's working at the Brussels HQ? Jeff and Siqi our interns from Boston University Brussels give you answers. Older PostBreaking News: Special Partnership Signing Ceremony at ISB.